Introduction of time- and cost-efficient tests for high-throughput MDR1 analysis is greatly needed to facilitate the development of new, safe, and clinically efficient Pgp modulators, as well as pharmaceuticals that do not interfere with patients' physiological MDR mechanisms. Information on drug resistance substrate specificity profiles for new drug candidates is critical for rational design of new drugs and for managing of clinical trials on drug resistance modulators, as well as other drug candidates whose pharmacokinetic parameters can be affected by Pgp activity in various normal tissues. MDR1 detection tests are currently being used in drug development programs for the following two reasons. First, one of the major problems with newly synthesized chemotherapeutic compounds is the development of tumor drug resistance mediated by Pgp or other drug resistance mechanisms. When entering preclinical and clinical drug safety studies, it is possible to avoid unnecessary expenses and shorten the testing time by identifying and eliminating of drug candidates—substrates for different drug resistance mechanisms. Although such drug candidates demonstrate high efficacy in vivo, their therapeutic window in animal models and, further down the line, in clinical trials is inevitably altered by the failure of reaching their cellular targets. Furthermore, experimental drug candidates may act as MDR1 modulators, thereby causing multiple side effects and resulting in insurmountable safety problems. In the worst-case scenario, a drug candidate—MDR substrate could strongly interfere with Pgp expressed in normal tissues (e.g., GI tract, kidney, or blood-brain barrier) resulting in strong adverse effects and termination of the entire drug development program. Second, MDR1 detection tests are widely utilized to identify new molecules that modulate drug resistance. It was shown that Pgp expression can be reversed by such modulators, resulting in enhanced therapeutic efficacy in cellular and animal models of drug resistance (4,19,38). Furthermore, tumor selection for increased Pgp expression can be prevented in cellular models by coadministra-tion of MDR1-related cytotoxic drugs and modulators. Currently, 65 clinical trials on 16 different MDR1 modulators are conducted on patients with more than 12 MDR1-resistant tumor types (24), with more clinical trials using potential Pgp substrates in progress. All existing MDR1 screening systems are based exclusively on in vitro cytotoxicity assays and flow cytometry techniques. These expensive and sometimes irreproducible functional tests for Pgp inhibition are not MDR1-specific (Table 1). To address these issues and validate the utility of the UIC2 shift assays in drug screening and evaluation, we first used this method to analyze MDR1 substrate specificity on Pgp-positive tumor cell lines. At that point in time (1996), it was unclear if SN-38, an active species of a new chemotherapeutic drug CPT-11, was a Pgp substrate. The UIC2 Shift assay was performed on MDRl-positive KB-8-5 cells in the presence of different concentrations of SN-38, cyclosporine A (Pgp substrate positive control), and BSO (non-Pgp substrate negative). SN-38 induced a weak but statistically significant UIC2 shift in KB-8-5 cells, thereby providing the first evidence of it being a Pgp substrate (39). This finding was later (1998) confirmed by other researchers using in vitro cytotoxicity tests (40,41). Because CPT-11 chemotherapy protocols are used primarily on colorectal cancers, 80-100% of which are characterized by high Pgp expression levels, and recently on brain tumors, this information is essential for the understanding of its pharmacokinetics and assessing its therapeutic window. In the late 1990s, normal human cells became increasingly utilized in the functional analysis of MDR1-related pharmacokinetics. The Bates' group at the National Institutes of Health (NIH) was first to introduce a Rhodamine 123 efflux-based multicolor flow cytometry technique that used CD56-positive PBLs as a surrogate marker of Pgp antagonism in PSC 833 clinical studies (42). To extend and simplify this approach, we validated the use of the UIC2 Shift assay on normal PBLs (35). In three-color flow cytometry on human PBL subsets in the presence of 25 pM vinblastine, Pgp expression was detected using the UIC2 Shift assay on 44-81% of T, CD4, CD8, B, and natural killer cells vs only 23-35% in conventional immunostaining. In addition to increased sensitivity, the UIC2 Shift assay provided information on the functional status of human PBLs. In a series of experiments combining the UIC2 Shift assay with DiOC2 efflux analysis, a highly significant correlation (r = 0.99; Fig. 2) was found between the results of the two tests, both at the single-cell level and in terms of the percentage of PBL populations expressing functional Pgp. We then used PBL subsets to confirm Pgp substrate specificities of known MDR1 agents and successfully identify a series of new Pgp substrates, including monensin and retinol (35). These results further validated the utility of the UIC2 shift assay for screening for new MDR1 agents and monitoring drug pharma-cokinetics parameters, particularly in cells with low Pgp expression levels. These data also emphasize the notion that accurate assessment of MDR1 expression and function in tumor specimens is impossible without precise gating on malignant cells present in the sample. In flow cytometry, this could be achieved by using additional tumor type-specific MAb markers (e.g., HER2 to gate on breast cancer cells) and/or by excluding normal cells present in the tumor bed (e.g., CD45 to gate out infiltrating PBLs). Fig. 2. Correlation between the UIC2 shift and the DiOC2 efflux assays. The percentage of cells positive for P-glycoprotein in the UIC2 shift assay and DiOC2-dim cells in the dye efflux assay were calculated as described in the figure. T-cells were defined as CD3+, CD4+ T-cells as CD3+CD4+, CD8+ T-cells as CD3+CD8+, B-cells as CD19+, natural killer (NK) cells as CD3+CD56+, monocytes as CD14+, and granulocytes as CD15+. Data (mean + standard deviation) from at least three independent combined experiments for each cell population are presented. the UIC2 shift assay can selectively identify MDR1 functional activity on the background of other drug efflux mechanisms. The enhanced sensitivity of Pgp detection in the UIC2 shift assay allows for characterization of tumor and normal cells with low Pgp expression. The UIC2 shift assay simultaneously quantifies MDR1 expression and function in the same cell, making it possible to directly correlate cellular phenotypes with Pgp efflux activity. This technique can be utilized for direct analyses of Pgp-mediated membrane transport and provides a new method for screening and monitoring new pharmaceuticals. 1. Complete medium: RPMI-1640 supplemented with 10% heat-inactivated fetal bovine serum (FBS) (both from Gibco/Invitrogen, Carlsbad, CA). 2. The K562/i-S9 cell line generated by retroviral transfer of the human MDR1 gene into human CML-derived K562 cell line, followed by flow cytometry selection for Pgp-positive cells without exposure to cytotoxic drugs, is maintained in drug-free complete medium (34,35) (Note 4.1). 3. PBL are isolated by density gradient separation using Histopaque 1083 (Sigma, St. Louis, MO) from buffy coats obtained from healthy donors according to manufacturer's recommendations. Cells are washed twice in RPMI-1640 and adjusted to 106 cells/mL in RPMI-1640. 4. 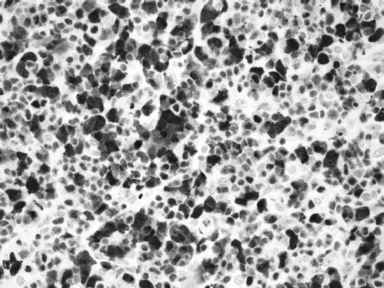 UIC2 and UIC2/A hybridoma cell lines secreting UIC2 in complete or protein-free medium, respectively, can be purchased from ATCC (accession nos. HB11207 and HB11287). 5. UIC2 shift assay buffers, AB: PBS supplemented with 2% FBS. 6. UIC2 shift assay stop buffer for flow cytometry, SSB: PBS supplemented with 2% FBS and 0.01% sodium azide. 1. Nonlabeled azide-free UIC2 MAb (mouse IgG2a) purified from serum-free hybridoma tissue culture supernatants can be purchased from Chemicon (MAB4334Z; Chemicon International, Temecula, CA) or purified using Protein A affinity chromatography from protein-free hybridoma supernatants as described in our previous reports (34,35). 2. Phycoerythrin (PE) conjugated UIC2 is purchased from Chemicon (cat. no. MAB4334PE). 3. Control antibodies: IgG2a-PE (negative MAb control to UIC2-PE) (Sigma); IgG1-FITC and -PE, CD3-APC, CD4-FITC, CD8-FITC, CD14-FITC, CD15-FITC, CD19-FITC, CD45-FITC, CD14-PE, and CD54-PE (Becton Dickinson Immuno-cytometry Systems [BDIS], San Jose, CA); IgG1-APC, IgG2a-APC, and CD56-FITC (ExAlpha, Boston, MA). 4. Unconjugated purified IgG1, IgG2a, and IgG2b (negative controls to primary MAbs used at matching concentrations in indirect immunostaining) and PE-conjugated goat anti-mouse IgG2a (for secondary detection) were from Caltag (Burlingame, CA). 1. 3,3-Diethyloxacarbocyanine iodide, DiOC2(3), is available from Molecular Probes (Eugene, OR). DiOC2 solution is prepared in 96% ethanol and kept in 0.1-mL aliquots at 70°C for long-term storage or ambient temperature for weeks until analysis. 2. Solution of 1 pg/mL propidium iodide (PI; Molecular Probes/Invitrogen, Eugene, OR). 1. Vinblastine (Sigma) solution is prepared in tissue-culture grade water at 25 pM, sterilized using the 0.22 p cellulose acetate filter unit (Corning, Corning, NY), and stored in 0.1-mL aliquots at -20°C. 2. Depending on solubility of other compounds tested in the UIC2 shift assay, their stock solutions can be prepared in water, DMSO, RPMI-1640, or complete medium. 3. Control diluents used to prepare drug stock solutions are added to achieve the same final concentrations in the UIC2 shift assay. 1. A protocol for the UIC2 shift assay was described in detail in refs. 34 and 35. 2. Wash K562/i-S9 cells or PBL (from 105 to 106 cells per tube) two times in AB. 3. Resuspend cells in 1 mL of AB and equilibrate to 37°C in a water bath for 10 min (Note 4.2). 4. Add 5 pL of 25 pM vinblastine, or drug stock solution, or control diluent; optimal concentrations for each stock solution have to be determined in preliminary titration experiments. 5. Incubate for another 10 min with periodic agitation at 37°C to load cells with the drug and engage the MDR1 pump. 6. Add 5 pL of UIC2-PE or IgG2a-PE isotype control to directly stain membrane Pgp experiments and incubated at 37°C for additional 15 min; 5 pL of unconjugated purified UIC2 or mouse IgG2a are added for 15 min in indirect staining experiments, followed by two ice-cold AB washes, and subsequent 15 min staining with a secondary detection reagents (e.g., PE-conjugated goat anti-mouse IgG2a). 7. Wash cells twice with ice-cold SSB (Note 4.3). 8. For additional immunostaining (e.g., subset analysis of PBL), stain on ice in SSB for additional 15 min with other directly conjugated primary antibodies (e.g., FITC- or APC-conjugated MAbs against CD antigens). 9. Wash twice in ice-cold SSB and resuspend in SSB containing 1 pg/mL PI to exclude dead cells; keep on ice in dark place or under metal foil to protect from light until analysis. a. Staining with IgG2a-PE or IgG2a in the presence of the diluent (isotype control for conventional UIC2 staining). b. Staining with IgG2a-PE or IgG2a in the presence of 25 pM vinblastine or the tested compound (isotype control for UIC2 shift staining). c. Staining with UIC2-PE or UIC2 in the presence of the diluent (conventional UIC2 staining). d. Staining with UIC2-PE or UIC in the presence of 25 pM vinblastine or the tested compound (UIC2 shift staining). 11. In quantitative terms, UIC2 shift is defined as the difference between UIC2 binding in the presence vs in the absence of a Pgp substrate (e.g., 25 pM vinblastine) under physiologic conditions and expressed as the difference between the respective median FACS channels (Fig. 1) (Notes 4.4 and 4.5). 1. After two washes in ice-cold SSB, resuspend target cells, 105 to 106 cells per tube, in 50 pL of staining buffer (SSB + 1 mM EDTA) containing 20 pg/mL of a 1:1 mixture of IgGx and IgG2b MAb (Sigma) to block Fc receptors. 2. After a 15-min preincubation and two subsequent washes with the staining buffer, add purified UIC2 (or control IgG2a), at 1 pg/sample, and incubate for 30 min. 3. Wash the cells twice, resuspend in 50 pL of staining buffer, and add goat anti-mouse IgG2a-PE at predetermined concentrations for 30 min. 4. After washing twice in SSB, resuspended the cells in 300 pL of SSB and 1 pg/mL propidium iodide for flow cytometry analysis. 1. Load target cells with DiOC2 at a final concentration of 1 pg/mL in RPMI-1640 on ice for 15 min in the dark. 2. Immediately after loading, wash the cells twice in ice cold RPMI-1640 with 2% FBS, resuspend at 37°C in RPMI-1640 with 2% FBS, transfer to tissue culture flasks (106 cells in 10 mL), and allowed to efflux at 37°C in 5% CO2 for 3-5 h (typically, 15 min to 1 h for high Pgp expressors and 2-5 h for low Pgp expres-sors) on a rocker. 3. Incubations at 4°C or with known Pgp substrates (e.g., vinblastine, verapamil, and so on) are to be included as efflux background controls. 4. After efflux, wash the cells twice with ice-cold SSB and analyze by flow cytometry at 4°C in the presence of 1 pg/mL PI. 5. If necessary, target cells can be processed for further immunostaining performed at 4°C to prevent cells from further DiOC2 efflux. 1. It is critical to characterize target cells for the levels of Pgp expression and functional activity using conventional immunostaining and the DiOC2 efflux test. The UIC2 Shift assay produces the overall best results when using low and medium-low Pgp-expressing cells (e.g., human natural killer lymphocytes) and cell lines (e.g., KB-8-5 or MCF7-P10). 2. Maintaining target cells at 37°C is absolutely essential for Pgp function. Make sure that your sample volumes do not exceed 1 mL and plastic tubes are fully immersed in the water bath to ensure consistent results of the UIC2 Shift assay and the DiOC2 efflux test. 3. Similarly, keeping cells at 4°C at all times is needed to prevent control Pgp-positive cells from "leaking" the dye during the DiOC2 efflux test: residual levels of Pgp activity at higher temperatures may result in detectable DiOC2 efflux. 4. Keep Pgp-positive cell lines free of MDR1 drugs for at least 1 wk before UIC2 Shift experiments to prevent their interference with the UIC2 Shift and DiOC2 efflux assay results. 5. Pgp-positive cell lines may spontaneously lose some or all membrane Pgp as a result of long-term in vitro maintenance without continuous positive selection using MDR1 drugs or, preferably, cell sorting for Pgp-positive variants. To ensure consistent results, target cell have to be periodically checked for Pgp expressions levels using conventional immunostaining and, if needed, the DiOC2 efflux test. 1 Roninson, I. B. (ed). (1990) Molecular and Cellular Biology of Multidrug Resistance in Tumor Cells. Plenum Press, New York. 2 Gottesman, M. M. and Pastan, I. (1993) Biochemistry of multidrug resistance mediated by the multidrug transporter. Annu. Rev. Biochem. 62, 385-427. 3 Lehnert, M. (1996) Clinical multidrug resistance in cancer: a multifactorial problem. Eur. J. Cancer 32A, 912-920. 4 Ambudkar, S. V., Dey, S., Hrycyna, C. A., Ramachandra, M., Pastan, I., and Gottesman, M. M. (1999) Biochemical, cellular, and pharmacological aspects of the multidrug transporter. Annu. Rev. Pharmacol. Toxicol. 39, 361-398. 5 Higgins, C. F. (1992) ABC transporters: from microorganisms to man. Annu. Rev. Cell Biol. 8, 67-113. 6 Klein, I., Sarkadi, B., and Varadi, A. (1999) An inventory of the human ABC proteins. Biochim. Biophys. Acta. 1461, 237-262. 7 Borst, P., Zeker, N., and van Helvoort, A. (2000) ABC transporters in lipid transport. Biochim. Biophys. Acta. 1486, 128-144. 8 Sikic, B. (1999) New approaches in cancer treatment. Ann. Oncol. 10, 149-153. 9 Cordon-Cardo, C., O'Brien, J. P., Boccia, J., Bertino, J. R., and Melamed, M. R. (1990) Expression of a multidrug resistance gene product (P-glycoprotein) in human normal and human tissues. J. Histochem. Cytochem. 38, 1277-1287. 10 Thiebaut, F., Tsuruo, T., Hamada, H., Gottesman, M. M., Pastan, I., and Willingham, M. (1987) Cellular localization of the multidrug resistance gene product in normal human tissues. Proc. Natl. Acad. Sci. USA 84, 7735-7738. 11 Chaudhary, P. M., Mechetner, E. B., and Roninson, I. B. (1992) Expression and activity of the multidrug resistance p-glycoprotein in human preipheral blood lymphocytes. Blood 80, 2735-2739. 12. Chaudhary, P. M. and Roninson, I. B. (1991) Expression and activity of P-glyco-protein, multidrug efflux pump, in human hematopoietic stem cells. Cell 66, 85-94. 13 Schinkel, A. H., Smit, J. M., van Tellingen, O., et al. (1994) Disruption of the mouse mdr1a p-glycoprotein gene leads to a deficiency in the blood-brain barrier and to increased sensitivity to drugs. Cell 77, 491-502. 14 Ueda, K., Okamura, N., Hirai, M., et al. (1992) Human P-glycoprotein transports cortisol, aldosterone, and dexamethasone, but no progesterone. J. Biol. Chem. 34, 24,248-24,252. 15 Ernest, S. and Bello-Reuss, E. (1999) Secretion of platelet-activating factor is mediated by MDR1 P-glycorpotein in cultured human mesangial cells. I. Am. Soc. Nephrol. 10, 2306-2313. 16 Ernest, S. and Bello-Reuss, E. (1998) P-glycorpotein functions and substrates: possible role of MDR1 gene in the kidney. Kidney Int. Suppl. 65, 11-17. 17 Valverde, M. A., Diaz, M., Sepulveda, F. V., Gill, D. R., Hyde, S. C., and Higgins, C. F. (1992) Volume-regulated chloride channels associated with the human multi-drug-resistance P-glycoprotein. Nature 355, 830-833. 18 Roepe, P. D. (2000) What is the precise role of human MDR1 protein in chemotherapeutic drug resistance? Curr. Pharm. Des. 6, 241-260. 19 Sonneveld, P. (2000) Multidrug resistance in haematological malignancies. J. Intern. Med. 247, 521-534. 20 Robert, J. (1999) Multidrug resistance in oncology: diagnostic and therapeutic approaches. Eur. J. Clin. Invest. 29, 536-545. 21 Mechetner, E., Kyshtoobayeva, A., Zonis, S., et al. (1998) Levels of multidrug resistance (MDR1) P-glycoprotein expression by human breast cancer correlate with in vitro resistance to taxol and doxorubicin. Clin. Cancer Res. 4, 389-398. 22 Trock, B. J., Leonessa, F., and Clarke, R. (1997) Multidrug resistance in breast cancer: a meta-analysis of MDR1/gp170 expression and its possible functional significance. J. Natl. Cancer Inst. 89, 917-931. 23 van den Heuvel-Eibrink, M. M., Wiemer, E. A., de Boevere, M. J., et al. (2001) MDR1 expression in poor-risk acute myeloid leukemia with partial or complete monosomy 7. Leukemia 15, 398-405. 24 Bradshaw, D. M. and Arceci, R. J. (1998) Clinical relevance of transmembrane drug efflux as a mechanism of multidrug resistance. J. Clin. Oncol. 16,3674-3690. 25 Beck, W. T., Grogan, T. M., Willman, C. L., et al. (1996) Methods to detect P-glycoprotein-associated multidrug resistance in patients' tumors: consensus recommendations. Cancer Res. 56, 3010-3020. 26 Liu, B., Sun, D., Xia, W., Hung, M. C., and Yu, D. (1997) Cross-reactivity of C219 anti-p170(mdr-1) antibody with p185(c-erbB2) in breast cancer cells: cautions on evaluating p170(mdr-1). J. Natl. Cancer Inst. 89, 1524-1529. 27 Chan, H. S. and Ling, V. (1997) Anti-P-glycoprotein antibody C219 cross-reactivity with c-erbB2 protein: diagnostic and clinical implications. J. Natl. Cancer Inst. 89, 1473-1476. 28 Rao, V. V., Anthony, D. C., and Piwnica-Worms, D. (1995) Multidrug resistance P-glycoprotein monoclonal antibody JSB-1 crossreacts with pyruvate carboxylase. J. Histochem. Cytochem. 43, 1187-1192. 29 Bailly, J. D., Muller, C., Jaffrezou, J. P., et al. (1995) Lack of correlation between expression and function of P-glycoprotein in acute myeloid leukemia cell lines. Leukemia 9, 799-807. 30 Leith, C. P., Chen, I. M., Kopecky, K. J., et al. (1995) Correlation of multidrug resistance (MDR1) protein expression with functional dye/drug efflux in acute myeloid leukemia by multiparameter flow cytometry: identification of discordant MDR-/efflux+ and MDR1+/efflux- cases. Blood 86, 2329-2342. 31 Ferry, D. R. (1998) Testing the role of P-glycoprotein expression in clinical trials: applying pharmacological principles and best methods for detection together with good clinical trials methodology. Int. J. Clin. Pharmacol. Ther. 36, 29-40. 32 Zaman, G. J., Flens, M. J., van Leusden, M. R., et al. (1994) The human multidrug resistance-associated protein MRP is a plasma membrane drug-efflux pump. Proc. Natl. Acad. Sci. USA 91, 8822-8826. 33 Mechetner, E. B. and Roninson, I. B. (1992) Efficient inhibition of P-glycoprotein-mediated multidrug resistance with a monoclonal antibody. Proc. Natl. Acad. Sci. USA 89, 5824-5828. 34 Mechetner, E. B., Schott, B., Morse, B. S., et al. (1997) P-glycoprotein function involves conformation transitions detectable by differential immunoreactivity. Proc. Natl. Acad. Sci. USA 94, 12,908-12,913. 35 Park, S. W., Lomri, N., Simeoni, L. A., Fruehauf, J. P., and Mechetner, E. (2003) Analysis of P-glycoprotein-mediated membrane transport in human peripheral blood lymphocytes using the UIC2 shift assay. 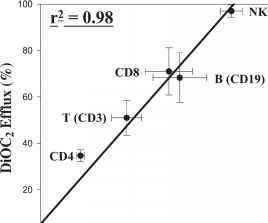 Cytometry A. 53, 67-78. 36 Mechetner, E., Tee, L., Park, S., and Fruehauf, J. P. (1998) The UIC2 Shift Assay: improved detection of MDR1 in human tumors based on conformational transitions of functional P-glycoprotein. Proceedings of the American Association for Cancer Research Meeting, New Orleans, LA, 1998. 37 Mechetner, E., Tee, L., and Fruehauf, J. P. (1999) The UIC2 Shift Assay detects functional P-glycoprotein in tumors and correlates with in vitro drug response to doxorubicin. Proceedings of the American Association for Cancer Research Meeting, Philadelphia, PA, 1999. 38 Kobayashi, H., Takemura, Y., Miyachi, H. (2001) Novel approaches to reversing anticancer drug resistance using gene-specific therapeutics. Hum. Cell. 14, 172-184. 39 Mechetner, E., Tee, L., Pavich, D., et al. (1998) High throughput screening for Mdr1 substrate specificity using the MDR1 Shift™ Assay. Proceedings of the American Association for Cancer Research Meeting, New Orleans, LA, 1998. 40 Jansen, W. J., Hulscher, T. M., van Ark-Otte, J., Giaccone, G., Pinedo, H. M., and Boven, E. (1998) CPT-11 sensitivity in relation to the expression of P170-glyco-protein and multidrug resistance-associated protein. Br. J. Cancer 77, 359-365. 41 Hoki, Y., Fujimori, A., and Pommier, Y. (1997) Differential cytotoxicity of clinically important camptothecin derivatives in P-glycoprotein-overexpressing cell lines. Cancer Chemother. Pharmacol. 40, 433-438. 42 Robey, R., Bakke, S., Stein, W., et al. (1999) Efflux of rhodamine from CD56+ cells as a surrogate marker for reversal of P-glycoprotein-mediated drug efflux by PSC 833. Blood 93, 306-314.